A driveway isn’t only meant to accommodate a vehicle or two. A driveway is the introduction to your property. Its design influences the initial impressions of guests and people who walk by your house. 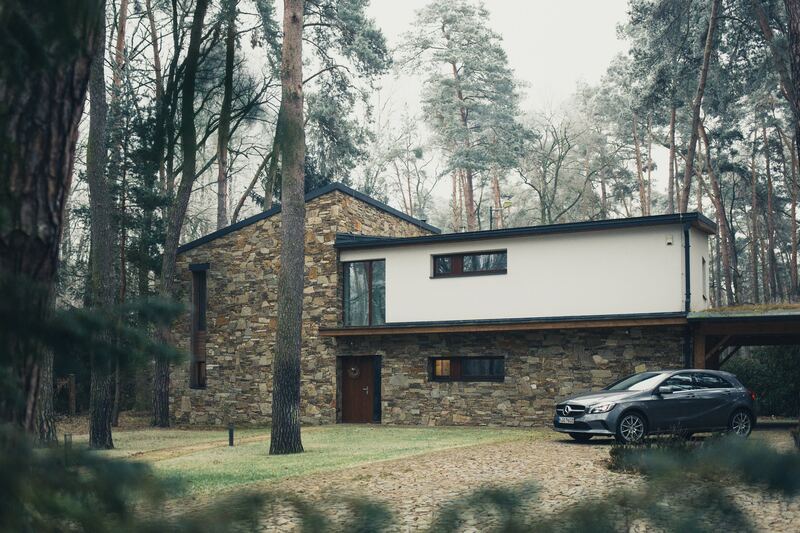 If you plan to sell your home in the future, the driveway is also the first thing potential buyers see; a beautiful driveway increases the potential value of your property. Looking to build and design a driveway that will turn heads? Here’s a basic improvement guide in creating or re-constructing a driveway to improve your property’s curb appeal. Many homeowners choose gravel, asphalt or concrete due to the high costs involved with paving slabs; but if your budget allows more wiggle room, there are a variety of other options for driveway surfaces, like natural stone. Natural stone provides driveways with inherent hardness and timeless aesthetics. The unpredictable shades, patterns textures and rich colour variations add a hint of luxury. If you want long-lasting durability, granite’s robustness justifies its cost. Granite, a volcanic rock, is stain-resistant and resilient against the worst of weather conditions, including acid rain. Additionally, this material offers a great aesthetic advantage because of its unique and natural pattern. Whether it’s granite chip gravel, flag surfaces or cropped granite setts — laying this surface will give your driveway strength and beauty that withstands the test of time. Aside from an attractive surface, a great way to increase the appeal of your driveway is to add edgings. Driveway edging creates a stunning border that can either complement or contrast with the surface. For example, brick edgings form a traditional edge to your private road. Available in different rustic tones, you can choose a colour that harmonises with your driveway or your house brickwork. If you want a softer and more decorative look, you may opt for sleeper edgings. They’re also highly functional because they retain higher soil levels so you can grow plants and flowers in them. To avoid water logging problems, drainage systems with specialised recessed driveway covers are discrete and avoid the need for unsightly manhole covers. Embellish your driveway by extending your flowerbeds. Low shrubs and small flowering plants are great for softening the edges of a driveway. The abundance of seasonal colours will entice visitors and set a pleasant atmosphere. Recessed stainless steel LED lighting will illuminate your driveway during the night and create visually-striking effects. As well as a practical aid when parking, these outdoor lighting fixtures improve the ambience of your drive. Looking for the best craftsmen and designers to help you build an eye-catching driveway? Here at Oakleigh Manor, we have an expert team who design and construct beautiful driveways. From the initial site meeting to design planning and construction, we’ll work closely with you during the entire process to ensure that everything meets your specifications. With successful projects and awards under our belt, Oakleigh Manor’s experienced team maximises the potential of outdoor space throughout London, Surrey, Sussex, Kent and Essex.